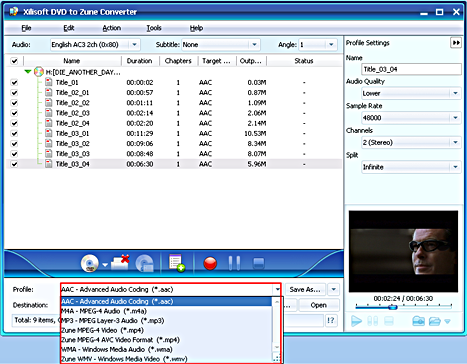 Xilisoft DVD to Zune Converter, powerful and easy to use DVD to Zune converting software, enables you to convert and convert DVD movie to Zune video and audio formats, including MPEG-4, WMV and WMA, AAC, MP3 Zune Player with great quality. 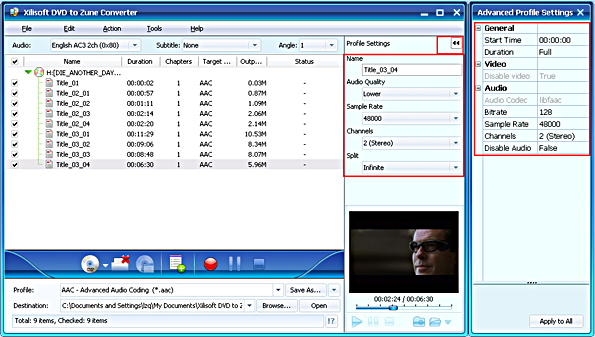 Xilisoft DVD to Zune Converter offers high level of customization for you, such as custom file size, convert DVD's segment, and select target subtitle and audio track. 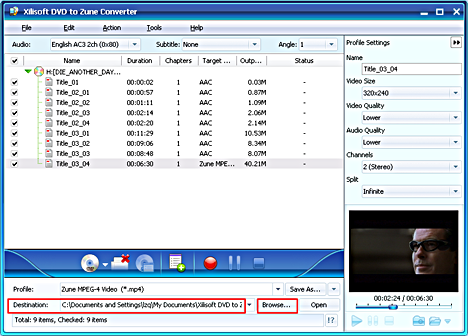 Here is a step by step guide of Xilisoft DVD to Zune Converter 5. 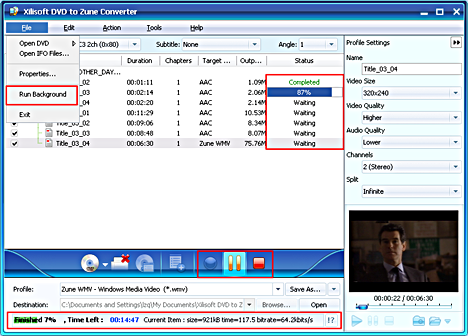 Hope useful for you!